You can’t make a Rennsport Reunion without breaking (out) a few eggs. That’s right, the rear decklid doesn’t close shut. Either those larger twin turbos must take up a lot of space or I have myself a lemon. I guess the car could sit a little lower as well. Regardless, it’s still a nice piece that you can consistently find in the $80-100 range. The dogleg hinges and lack of side windows are the only indicators of this model’s age. 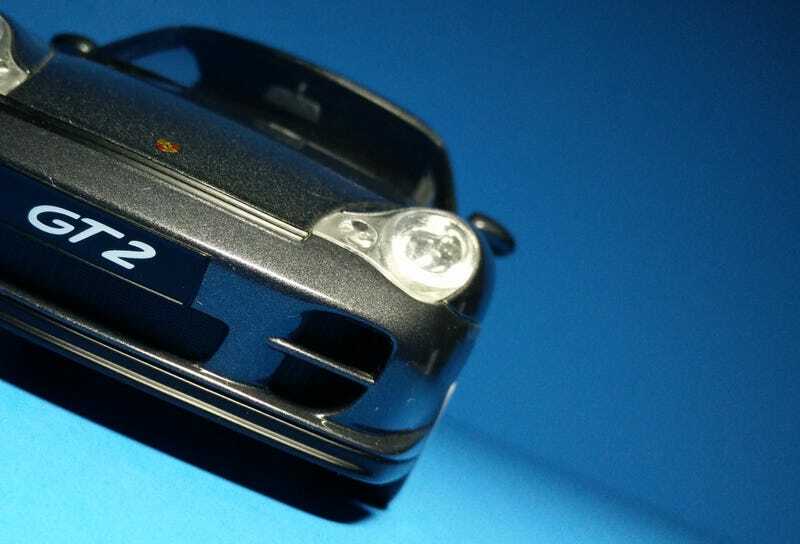 As a final note, I’d also like to welcome Pillarless Coupe to #Team996. To complete your registration, you must post a 996 by Saturday, Sept. 29.